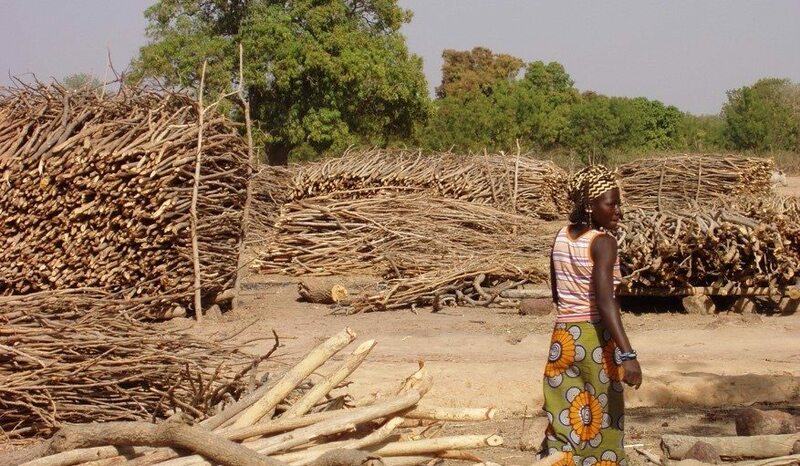 Poor women in rural areas of Mali have a significant income in selling firewood to consumers in the nearby towns. The income is typically used for food, school fees, medical expenses and transport. Larger commercial enterprises from nearby towns often compete with villagers on the utilisation of the same resources. Unsustainable cutting of trees, however, has many negative consequences, as it partly contributes to desertification, undermine local livelihood and also partly can affect and influence local climate changes. MFC-Nyetaa and SustainableEnergy and the residents of the three municipalities bordering Bamako’s southern border, have since 2007 worked for the implementation of a total ban of commercial logging. Virtually all 60 villages with about 70,000 residents have – based on their own Local Environmental Plans – identified a number of income-generating activities to substitute for commercial logging and mitigate effects of local fuel wood gathering. Village representatives have been elected to sit in environmental committees in the municipalities. The committees have now designed municipal environmental policies that bans commercial logging. Financing of income generating activities like poultry and bee keeping, horticulture, animal husbandry, improved and energy efficient stoves come from the residents’ own savings and from micro loans. During the last 3 years more than 1.800 loans have been granted and very close to all also been paid back again. Commercial logging has stopped and the three municipalities work now politically to get the other municipalities in the region to follow their example. Although MFC-Nyetaa and SustainableEnergy by the end of 2016 phased out direct program collaborations in the area we have maintained a joint interest through the continuation of a guarantee fond of about 1 mil DKK. The fond will for the next 3 years enable farmers in the area to take affordable loans directed at sustainable land use enterprises. The achievements of the program were in late 2016 evaluated by an external consultant. If interested in a copy of the report please write to either Ousmane Outtarra at MFC or Lars Jacobsen at SustainableEnergy.